Dhaka, Bangladesh (BBN)– Prime Minister Sheikh Hasina has urged the leader of the opposition to refrain from polluting the country’s politics further and said people of Bangladesh would not allow any vicious circle in future to usurp power through the backdoor. “Time has changed. So forget about taking power through the backdoor. Whatever attempt you make, you won’t be able to play a game with the rights of people and go to power with the help of the anti-liberation forces,” she said. Addressing a big public meeting, organized by the 14-Party Grand Alliance at city’s Bangabandhu Avenue on Wednesday, the prime minister said the people are aware than ever before and they would make the hard-earned democracy sustainable. She said the people of Bangladesh attained freedom through a bloody war and they would protect the country’s independence, sovereignty and democracy. In her about 35-minute speech, Sheikh Hasina highlighted the programs taken by her government over the last three years and said BNP is out to stop these development programs to jeopardize the country’s progress. She said Leader of the Opposition does not feel good when people of the country live in peace. So, she cannot accept the prevailing peaceful situation and progress of the country. Awami League presidium member Syeda Sajeda Chowdhury presided over the meeting. Members of Awami League advisory council Amir Hossain Amu, Tofail Ahmed and Suranjit Sengupta, presidium members Begum Matia Chowdhury and Sheikh Fazlul Karim Selim and 14-party leaders Rashed Khan Menon and Hasanul Haque Inu, addressed, among others, the meeting. The 14-party rally is considered to be the counter show against the BNP-led alliance’s March 12 rally in the capital where Opposition Leader and BNP Chairperson Khaleda Zia gave the government a 90-day ultimatum — until June 10 — to restore the caretaker government system. 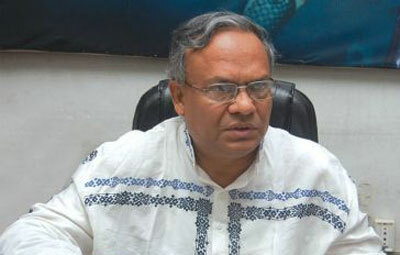 The prime minister, however, did not respond to Khaleda’s ultimatum and her threat of tougher movements. Instead, she once again alleged that Khaleda had been conspiring to protect war criminals. “You [Khaleda] and your husband [late] Ziaur Rahman tried heart and soul to save the killers of Bangabandhu but could not succeed. I want to assure you that no matter how hard you try you will not be able to save them. The trial of the war criminals will definitely be held. There is no room for Razakars [collaborators of the Pakistan occupation army during the Liberation War] on this soil,” said Sheikh Hasina. She also brought up the allegation of Khaleda’s receiving Rs 50 million from Pakistan’s Inter Services Intelligence (ISI) prior to the 1991 general elections. “You took and are still taking money from those whom we defeated in 1971. 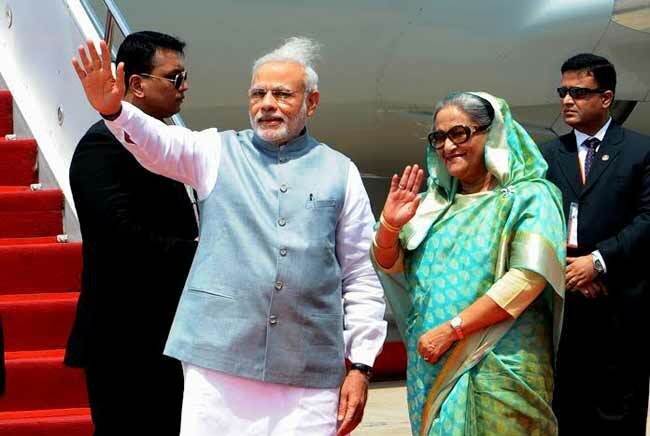 If you have so much sympathy for that country, why don’t you go to Pakistan rather than polluting the soil of Bangladesh,” the prime minister added. Tens of thousands of leaders, workers and supporters of the grand alliance, its associate bodies, different professionals and like-minded organizations joined Wednesday’s rally. They carried banners and festoons and chanted slogans demanding the immediate trial of war criminals. AL lawmakers from Dhaka and its adjacent districts, Magura, Mymensingh, Jessore and Tangail gathered at the venue of the rally with their activists from early afternoon. The areas from High Court intersection to Nawabpur Road in the old part of the city, Paltan intersection to English Road, and Dainik Bangla square to Gulistan square turned into a human sea. The main dais was set up in front of the south gate of Baitul Mokarram National Mosque. Before the rally began at 3:00pm, artistes performed patriotic songs for a couple of hours to warm up the supporters.